The bottom part of the front seat of your Volvo XC90. This has to be installed with the seat removed from your XC90. Your local Volvo dealer can help you with that. Give them a call. The leather of this seat upholstery is smooth in the center and textured on the sides. It is Light beige. for volvo s70 1998,1999,2000. volvo v70 XC 1998,1999,2000. FRONT BOTTOM SEAT UPHOLSTERY. FRONT BACK REST UPHOLSTERY. the Interior trim color code is SECOND box on the right column. It is charcoal. for volvo s70 1998,1999,2000. volvo v70 XC 1998,1999,2000. FRONT BOTTOM SEAT UPHOLSTERY. FRONT BACK REST UPHOLSTERY. the Interior trim color code is SECOND box on the right column. You will need to retain the broken item until instructed how to proceed with the broken item. Genuine Volvo Parts. We will do our best to list it for you as a "Buy It Now" item. It must be in new resalable condition. We are not responsible for installation errors. We are not responsible for any labor expenses, towing expenses, lodging expenses or rental car expenses that occur as the result of the installation of any wrong or defective parts. 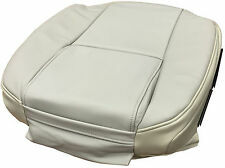 Factory new Genuine OEM Volvo seat back cover (not seat bottom). This is for the drivers or left side. This is not a slip on cover, but the factory cover in the factory fabric, etc, as when the car was new. Factory new OEM Volvo seat bottom cover. This will work on driver's and passenger side. Also referred to as Marble White in the sales brochures. This is perforated leather (tiny air holes) as shown on the close up photos. VOLVO C70 CONVERTIBLE 2006-2013. LEATHER-LIKE CUSTOM MADE SEAT COVERS. New Volvo XC60 2010-2017. We will do our best to list it for you as a "Buy It Now" item. We have or can get any products currently available. 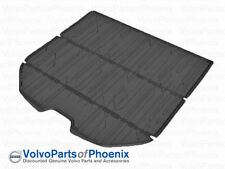 BLACK cargo mat for the XC60.THIS IS THE BLACK VERSION. We will do our best to list it for you as a "Buy It Now" item. We have or can get any products currently available. Gives the rear of the car a sporty and exclusive look. The bottom part of the front seat of your Volvo XC90. This has to be installed with the seat removed from your XC90. The leather of this seat upholstery is smooth in the center and textured on the sides. The Canvas/Cordura material is the strongest material we manufacture seat covers out of. It is made specifically to protect your original factory seat covers from excessive wear caused by children, dogs, (pets) and from other heavy duty uses. 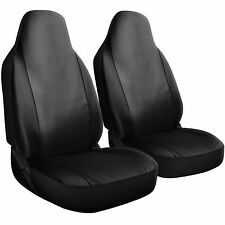 Pair ofSeat Armour Black Towel Seat Covers for Volvo (SA100VLVB). Own a Volvo and want to show off your loyalty?. 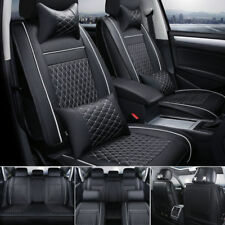 This Seat Armour Seat Cover with the official logo for Volvo can make you do just that! Genuine New Volvo XC60 2010-2013. BLACK cargo mat for the XC60. BLACK Foldable Reversible Rear Cargo Trunk Mat NEW. We will do our best to list it for you as a "Buy It Now" item. We have or can get any products currently available. XC70 wagon. v70 AWD wagon. The leather of this seat upholstery is textured. The entire thing. This is NOT a slip cover. the bottom part of the front seat of your volvo. This has to be installed with the seat removed from your Volvo. This is NOT a slip cover. Most of the cars had all textured seat upholstery. Real leather. The upholstery is textured leather just like pictured. THE COLOR CODE OF THE UPHOLSTERY IS. there are 3 possible color codes for the light beige upholstery. This seat upholstery is LEATHER and VINYL color code is 3960. s70,v70,v70Cross Country 1998,1999.2000. upholstery for your likely ripped and cracked seat bottom! This is NOT a slip cover. 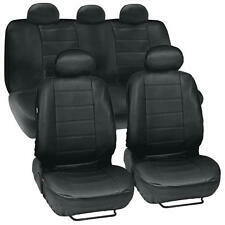 If your concerned about the color of the seat upholstery matching the interior color your volvo. Factory new Genuine OEM Volvo seat back cover. This is for the passenger or right side. This is not a slip on cover, but the factory cover in the factory fabric, etc, as when the car was new. This is an OEM Volvo part. 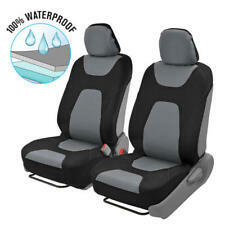 The Dorchester Seat Covers are made out of a high grade upholstery cloth. It is made specifically to protect your original factory seat covers from excessive wear caused by children, dogs, (pets) and from other heavy duty uses. S60 2001-2004. V70 2001-2004. THE COLOR CODE OF THIS UPHOLSTERY IS OAK ARENA. there are 3 possible color codes for light beige upholstery. This fits the bottom part of the front seat of your Volvo. This replaces your existing cover, and you will need to remove the old cover down to the foam cushion in order to install. This is not a slip on cover, but the factory cover in the factory fabric, etc, as when the car was new. "Shipping Is Not Included. 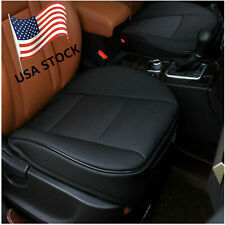 Shipping Available Separate"
We have both the driver's and passenger side of these factory new OEM Volvo seat back covers. This is for the passenger side. For the standard seat, not the sport seat. This replaces your existing cover, and you will need to remove the old cover down to the foam cushion in order to install. Factory new OEM Volvo seat back cover (not the seat bottom, the upper seat back). This is for the passenger, right hand RH side. This replaces your existing cover, and you will need to remove the old cover down to the foam cushion in order to install. S60 and v70. This is NOT a slip cover. The leather of this seat upholstery is textured. The entire thing. there are 3 possible color codes for the light beige upholstery. THE COLOR CODE OF THIS UPHOLSTERY IS. 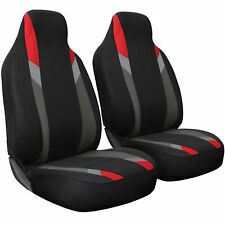 We have both the driver's and passenger side of these factory new OEM Volvo seat back covers. This is for the passenger side. Also referred to as Marble White in the sales brochures. This is perforated leather (tiny air holes) as shown on the close up photos. Factory new OEM Volvo seat back cover. This is for the driver's side. Also referred to as Marble White in the sales brochures. This is perforated leather (tiny air holes) as shown on the close up photos. You are looking at a set of 2 original Volvo leather seat covers Front Driver's side 1 top, 1 bottom covers in Lite Beige color. Leather is soft. They will NOT fit XC70, T5 or R models. Genuine Volvo C70 Rear Seat Guard fits 2006-2013 C70. Brand new in original packaging. VOLVO C70 CONVERTIBLE 1998-2004. 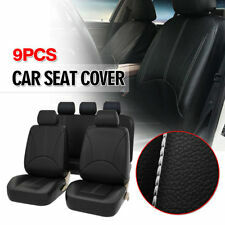 SYNTHETIC LEATHER SEAT COVERS. Genuine Volvo Parts. We will do our best to list it for you as a "Buy It Now" item. We're always happy to help. It must be in new resalable condition. We are not responsible for installation errors. Factory new genuine OEM Volvo upper front seat bottom cover. This is for the drivers or left side. This is the seat bottom cover, and is leather, and is factory new Genuine Volvo upholstery. For the 2015 2016 2017. Pulled from '95 940 Wagon. 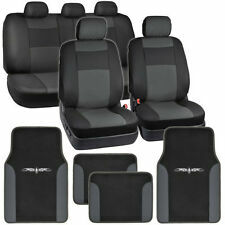 OEM VOLVO Front Right Cloth Seat Covers. Genuine VOLVO Parts. Upper and Lower sections. Clean and ready to install. Authentic Quality . The upholstery has smooth center leather portion. This is NOT a slip cover. the bottom part of the front seat of your volvo XC 90. your local volvo profit center can help you with that. Give them a call.